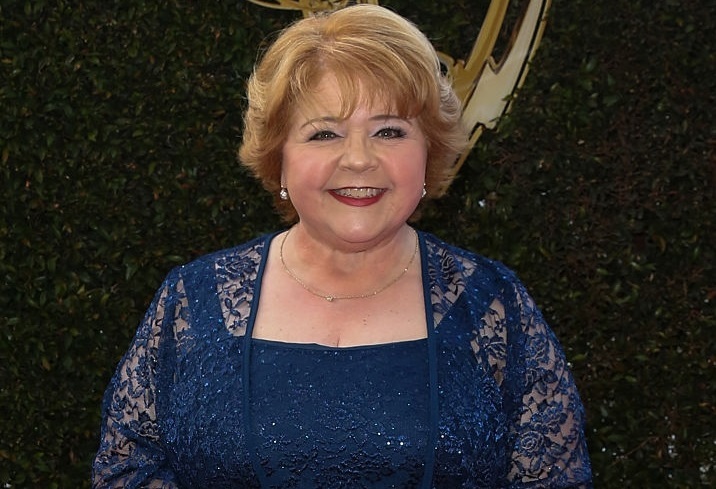 Actress Patrika Darbo will be reprising her role as Nancy Wesley on NBC soap opera Days of our Lives later this year. Darbo teased her return Friday night on the red carpet of the 43rd Annual Daytime Creative Arts Emmy Awards. "I have a feeling that I will be coming back to raise a little hell," Darbo says, potentially revealing what's ahead for Nancy, who first appeared in 1998 and was last seen in 2013. "These other women messing with my grandchild is not a good thing." Nancy is the mother of Chloe Lane (Nadia Bjorlin), and the grandmother of Chloe's son, Parker Jonas. She also has another daughter, Joy, who could easily be worked into the Salem teen scene at any time. There's no word yet when Darbo's first episode will air or how long she will be staying. "I know she's going back [but] I don't know about myself as of yet," actor Kevin Spirtas added later. He played Nancy's husband, Craig Wesley, off and on from 1997 to 2009. "If they call, I will go back. I love Days of our Lives." Spirtas was nominated for a Daytime Emmy Award last night for his work on digital drama Winterthorne. He won an Indie Series Award earlier this month for the performance. Darbo, always up for any challenge, was recruited to sing during that ISAs ceremony in a musical medley of best original song nominees. Watch her perform "Redheads Unite!" in the clip below, delivering hilarious lines as only she can.